The "full body condom" scene from Naked Gun. That's Leslie Nielsen under there. 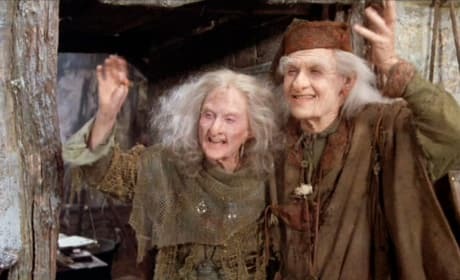 Billy Crystal and Carol Kane in The Princess Bride. They deliver the line, "Have fun storming the castle." Alex Pettyfer and Matthew McConaughey train in the gym in this still from Magic Mike. Catch the film in theaters June 29. Mini Me and Dr. Evil strike a pose. 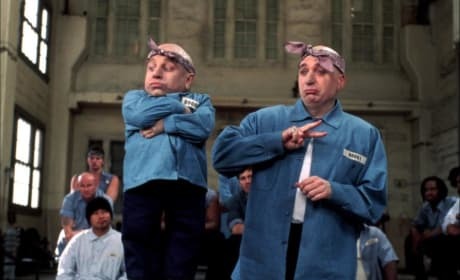 They're quite a pair in the Austin Powers movies. 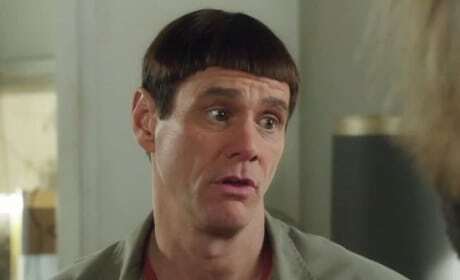 Jim Carrey stars in Dumb and Dumber To. Jeff Daniels is back too. 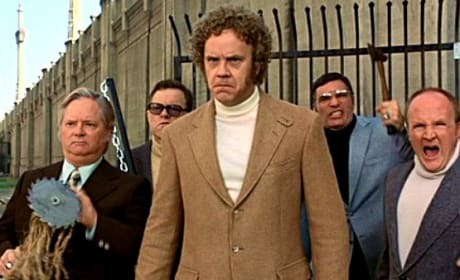 A photo of Brick from Anchorman. 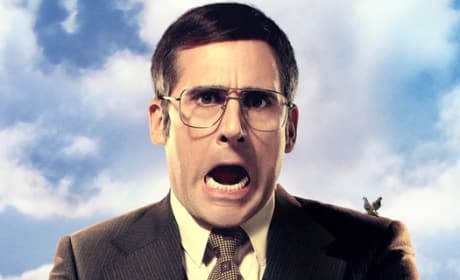 He's played by Steve Carell. 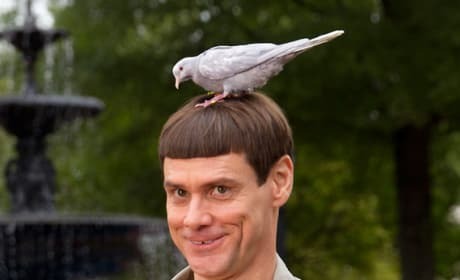 Jim Carrey is back as Lloyd Christmas in Dumb and Dumber To. Jeff Daniels is back too as Harry. 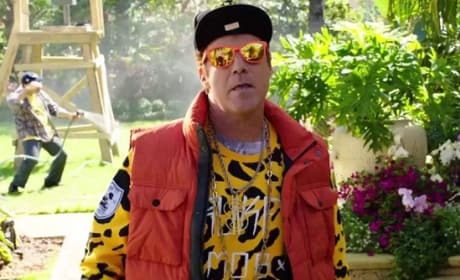 Will Ferrell walks the walk in Get Hard. 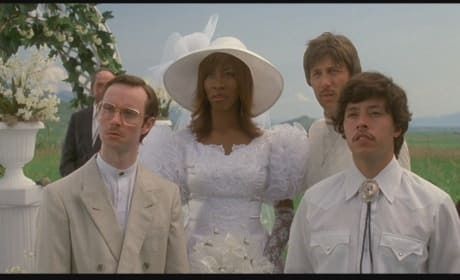 Ferrell plays a man going to prison.